Please Note: Description and images are provided to us by third party for your convenience only and we cannot guarantee their accuracy.We apologise in advance if they contain any errors. Product images are for illustrative purposes only and may differ from the actual product.If in doubt please search on manufacturer website using Product Model: DS920DWZ1 or Contact us via Ask a Question Tab. The Brother™ DS-920DW mobile scanner is perfect for the mobile professional who needs a powerful scanner that will slide right into a briefcase or business bag. 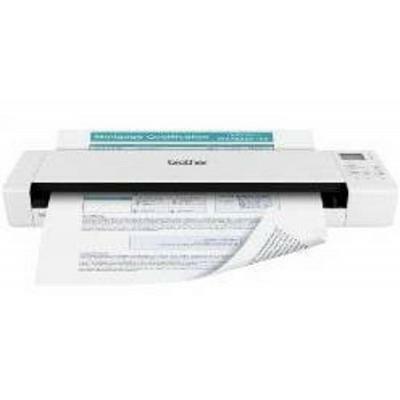 It's ideal for capturing two-sided business documents, as well as receipts, business cards, embossed plastic cards, invoices, photographs, and more. It can operate completely wirelessly thanks to the Wi-Fi interface and included rechargeable Lithium-Ion battery, enabling Wi-Fi transfer of scanned documents to computers and mobile devices. It scans at up to 1200x1200 dpi resolution (interpolated) and 600x600 dpi (optical), with fast color and black scan speeds of up to 8ppm, 5ppm duplex. Its small size, flexible USB or battery power, and valuable suite of scanning software make it a great fit for home offices and desks with limited space, too! - Outstanding Support - Includes a one-year limited warranty plus free phone support for the life of the product.